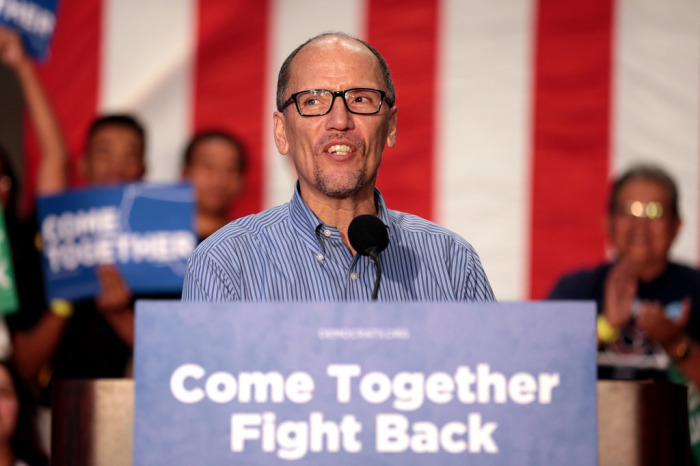 (JNS) The Democratic National Committee has dropped its partnership in the Women’s March over anti-Semitism concerns, according to a Democratic source. This development comes amid accusations of anti-Semitism within the movement’s leadership, causing many organizations to drop their support of the this year’s march, scheduled for Saturday, Jan. 19. There have been calls for firms to back out. In recent weeks, a number of progressive groups that have withdrawn their support of the march, which was launched in 2017 in protest of the election of President Donald Trump, including, but are not limited to, the National Council of Jewish Women, the Southern Poverty Law Center, the American Federation of Labor-Congress of Industrial Organizations, the Human Rights Campaign, Greenpeace, Children’s Firearm Safety Alliance, Coalition Against Gun Violence and Moms Demand Action for Gun Sense. Moreover, local marches, such as in Chicago and New Orleans, have been cancelled. Jewish organizations such as the Jewish Democratic Committee of America applauded the groups that have scrapped their affiliation with this year’s Women’s March. JNS.org is an independent, non-profit news agency committed to growing the coverage of Israel news and broader global Jewish news.